This delicate Tacori bracelet from the Lilac Blossoms collection pops a bright touch of color into your style. The deep purple amethyst sparkles from a sterling silver frame that is etched with the signature crescent design, and it is stationed on a thin sterling silver chain with a lobster clasp. 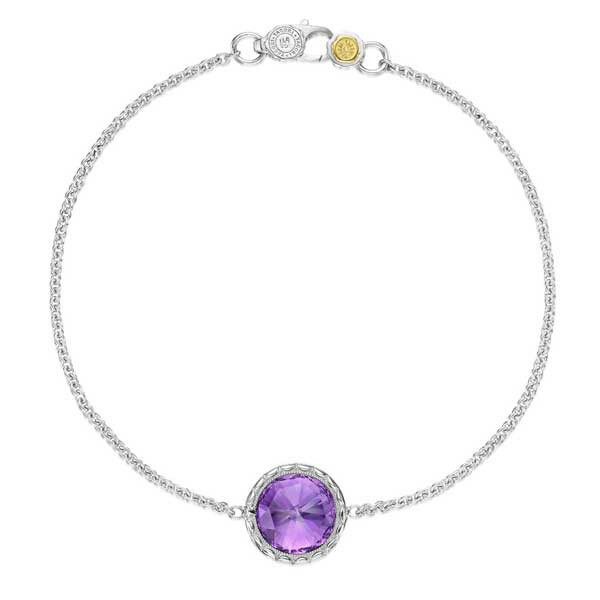 If purple is your passion, let this Tacori bracelet adorn you.